There may be no less descriptive or less informative quoted injury in the sports world today than “out with a lower/upper body injury.” Pittsburgh Penguins defenseman Kris Letang has just fallen victim to lower body kind before the start of the season, and Pens fans are wondering just how serious it is. 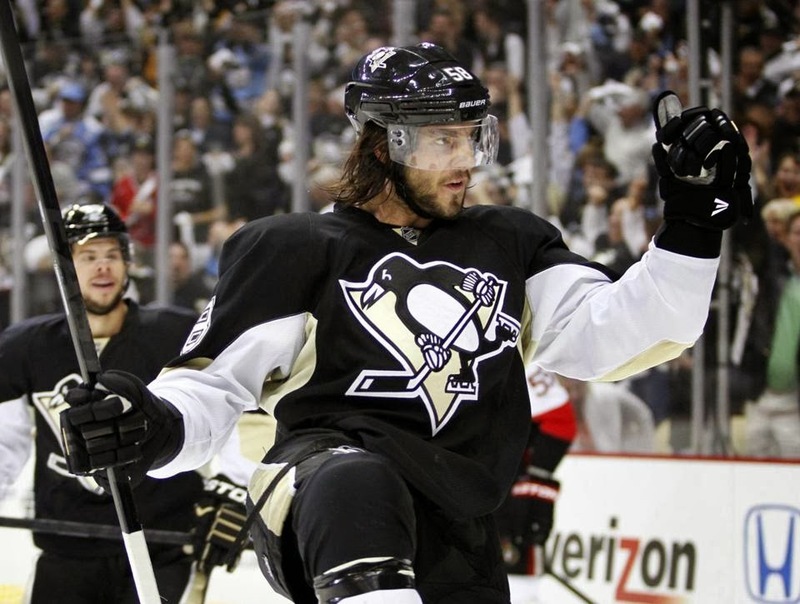 Letang is no stranger to the lower body injury as it has plagued him on and off since his entry into the NHL in 2005. Any injury to a core player is going to cause some panic, but when your newly signed, top defensemen goes down with such a non-descriptive injury, paranoia ensues. There is no time table on his return and his stats speak for why fans are so worried. What Kris Letang lacks in avoiding injuries, he makes up for by being one of the best two way defensemen in the league. In 35 games played in 2013 Letang racked up five goals and 33 assists (38 points) tying him for first in defensive scoring. This helped Pittsburgh lead the league in averaging 3.4 goals per-game last year and assisted them in placing second in power-play percentage, converting 24.7 percent of their chances. Over the past three seasons Letang averages .77 points per game (second to Erik Karlsson for players at that position) and has tortured goalies with a staggering 107 assists (first for all defensive players). These are rather impressive statistics for a guy that was taken 62nd overall in the 2005 draft. I am the first to admit that Letang needs to remember that he’s a defenseman, but those numbers are impressive. What amazes me more is that in those three seasons he has averaged 25 minutes per game. That is the area where I would notice his absence the most. He bites so much time out of a game for a defenseman and you can tell there is a struggle to fill his void because of what he brings to the ice. Letang also is also show off in his plus/minus rating. At a +17 (over 3 seasons) it is important to remember that he has only played a full season (82 games) just once while tallying 50 points during that time (2010-2011). I again cannot argue these numbers. Regardless of what could be said about his defensive play, if you want the best two way player in the game you’re picking up Kris Letang. 50 points in a season would be strong for a forward, let alone a defender. The Penguins are a team widely considered favorites in the Eastern Conference. The big “if” that tends to surround the Penguins involves the health of their players. They are stacked talent wise and these guys have the chemistry to get the job done. Letang is a big part of this team and that’s why Ray Shero extended his contract and gave him a big pay day. I was looking forward to what Rob Scuderi could teach him this year and cannot wait to get the opportunity to see it.